The discovery may have applications for rodent control. When tested in mice, the therapy reduced amyloid plaques, a characteristic feature of Alzheimer’s. New approach paves the way to making dendritic cell vaccines more effective. A recent study found CRISPR-Cas9 gene editing may be less precise than previously thought. Scientists say human trials will follow in five to ten years. The process uses no toxic chemicals and promises to produces DNA strands 10 times longer than today’s methods. 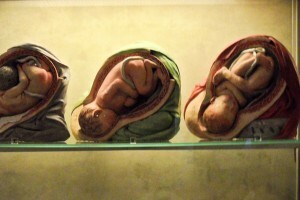 The artificial mouse embryos mimic real ones so well that when placed inside the uterus, they implant and initiate pregnancy. After treatment, binge drinking rats became responsible drinkers. Some of the most exciting developments happened on the single-cell level, at the intersection of genetics and computer science. 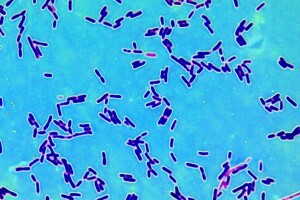 Images and a GIF were successfully encoded into the genome of a living E. coli cell. Genetically tailored cancer treatments train the immune system to target mutations unique to each patient. The technology could shape the future of vaccine production and be key to personalized medicine at scale. Infertile mice produced healthy pups when their ovaries were replaced with 3D printed prosthetics. Researchers have designed a fully artificial yeast genome and started the process of constructing it. The first high-quality sequence of the quinoa genome enables solutions for food security. 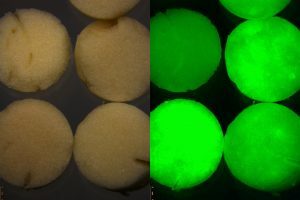 Real and artificial cells communicate chemically. A natural process gets an upgrade. The sheep were found to be as healthy as naturally conceived animals. DNA tests are moving from the lab to the bedside and into the field. Researchers need Zika data fast. This mobile app could deliver. A new mobile app provides real-time information about where Zika virus has spread and allows patients to report their symptoms. Four years after its discovery, scientists worldwide are honing Crispr for a torrent of applications, pushing it from basic science to the field.